After 2.5 weeks in Cambodia, I’m packing up and heading west to Thailand. During the last 14+ days I’ve spent about seven days on the beach and the rest in the city. I’ve been in Phnom Penh, Sihanoukville, Koh Rong, and Siem Reap. Cambodia has been an interesting experience, and also surprisingly good. The beaches were fantastic, and the pair of large cities I visited were well put together for the tourism they bring. 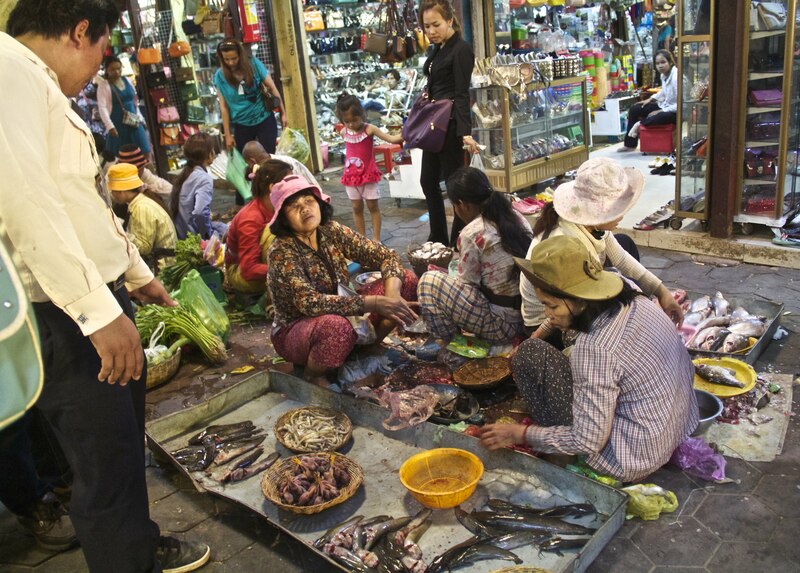 Cambodia, one of the poorer countries in the world, was not somewhere I readily expected to see large western style restaurants, dance clubs, and bars lining the streets. Nor was I truly expecting or ready to see the extreme amount of poverty that does exist in the country. Similarly, the insane number of naked baby boys that were running around Siem Reap was a cultural shift from Vietnam, and it seems that 3-4 is an acceptable age to leave your kids completely naked in public…although ‘public’ isn’t really the right word, since you’re typically walking through people’s houses/shops as you walk the streets. 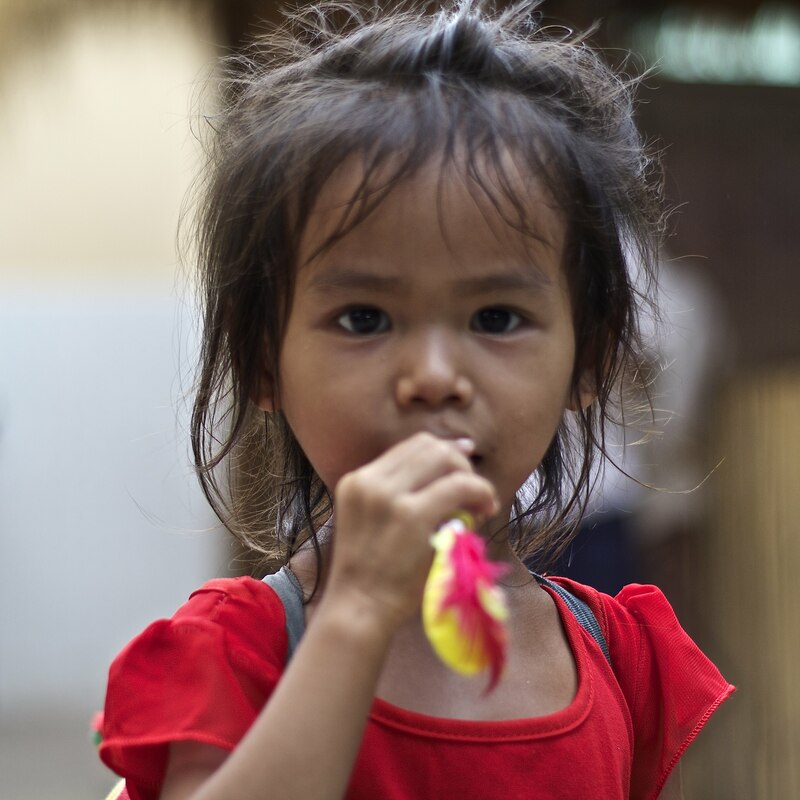 The photos below really sum up my time in Cambodia and the things that I saw. The only thing missing is the picture of an American dollar, since it’s the unofficial currency of this country. Probably the best way to explain the vibe of Sihanoukville is with this panorama of a beach bar. For a country that has a small coast relative to its size, I found some amazing fish everywhere I went. 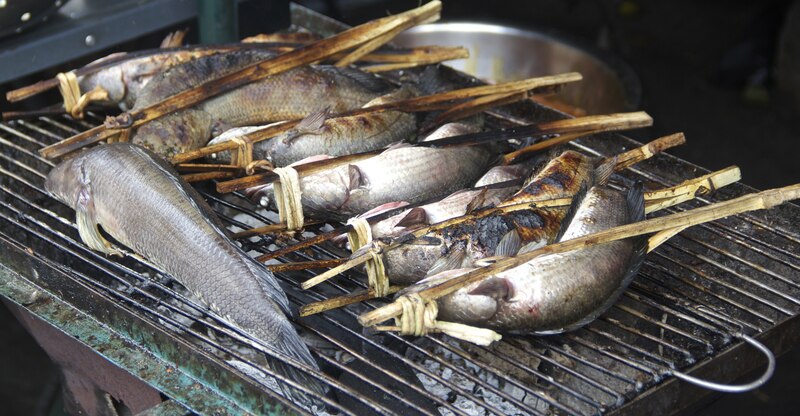 $6 red snapper grilled right on the beach, to these being grilled over embers early in the morning. 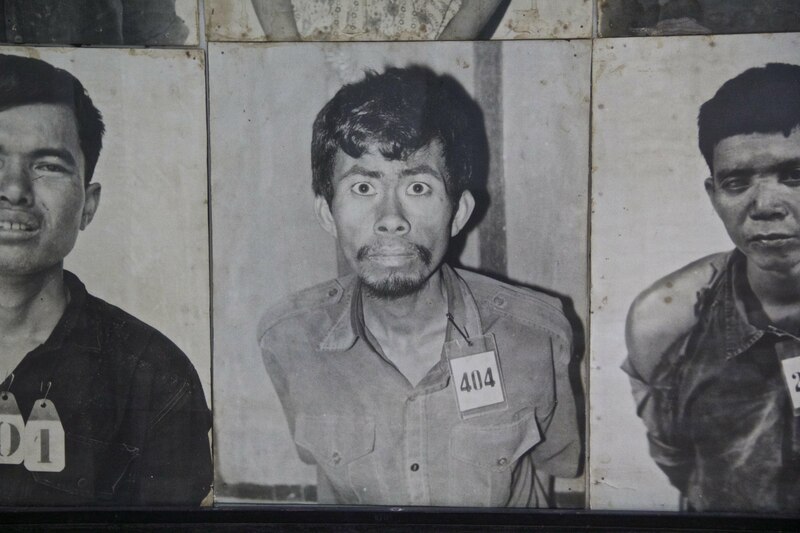 There were walls of pictures of people who were brought into S-21 and eventually killed, but the look on this man’s face really stood out of the crowd to me. 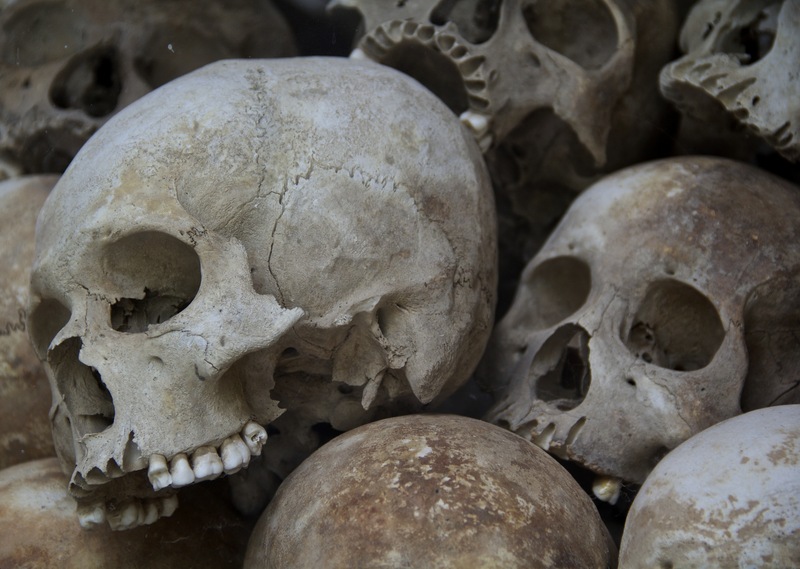 I’m not actually sure how you’re supposed to feel when presented with a pile of bones – specifically skulls. 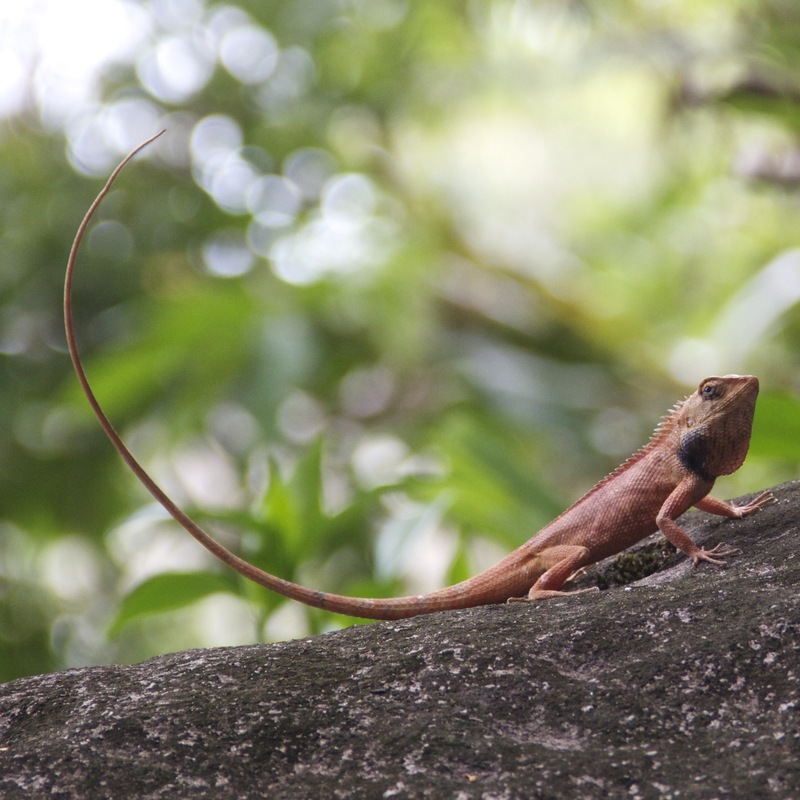 This guy was puffing his throat and raising his tail to let me know to get back. The size of its tail relative to the body was rather impressive. 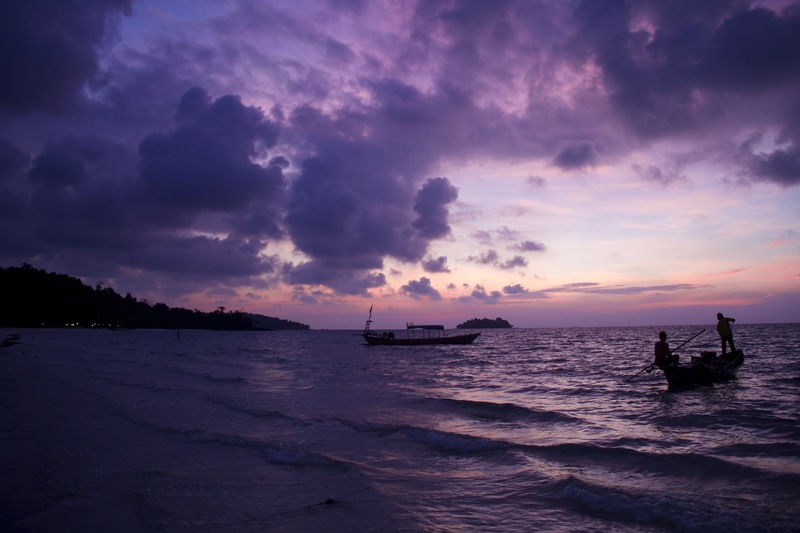 The first sunrise on Koh Rong was naturally the best one. I woke up early every day but never came close to replicating this scene. The woman just left of center in this picture, with her facial expression, really makes this picture for me. The vibrant colors all around really add to the effect too. One of my favorite temple pictures from Angkor Wat. The detail has been cranked up a little to give it an even ‘older’ feel. From the look on this girl’s face, to the size and scale of the ‘window’ that’s been built into the temple wall, everything in this photo is what Angkor Wat. I’m a bit upset at myself about the way this picture turned out. Shot with my 50mm prime and a 1.8, I missed the fact that the focal point was the hair just behind this girls neck. That said – it’s still a good picture. This entry was posted in Cambodia and tagged Angkor Wat, Cambodia, Koh Rong, Phnom Penh, Siem Reap, Sihanoukville, Tuk-Tuk. Bookmark the permalink. Nice. Heading to Cambodia this June! Any tips? If heading to the beaches – plan to buy sun screen and bug spray on the day you arrive. If you go south to Sihanoukville, take the $5 boat to Koh Rong and stay there for at least 2 nights. (Assuming a beach with nothing to do but lay in the sun or drink beer is up your alley…) In general, watch out for the sand flies – they really will eat your legs alive. 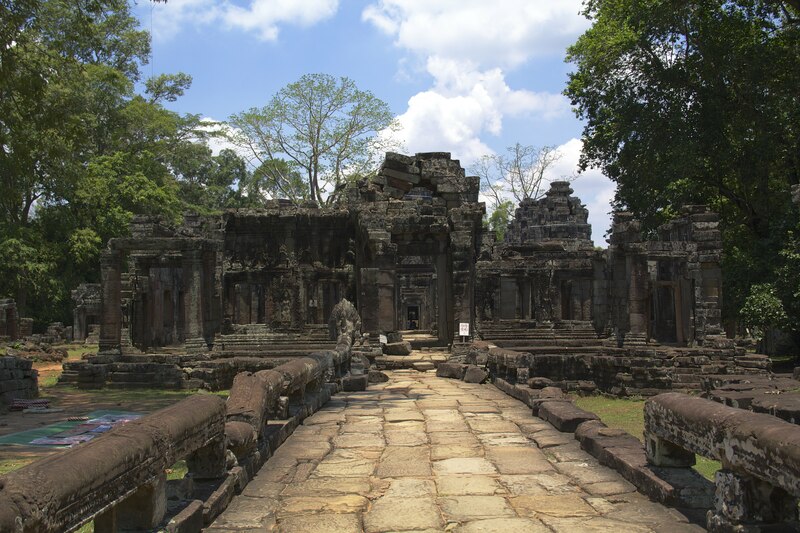 Angkor Wat – if you do your research before hand the temples may be more interesting. I can say that I certainly walked around and said “wow” a lot, but I couldn’t tell you the difference between temple a,b,c, or h. You technically CAN do the entire thing in one way, but it gets so hot out there that you’re better off doing it over two days in the mornings. Awesome. Thanks for the heads up! Won’t be encountering any sand flies (sounds nasty) soon but i will be seeing the Angkor Wat so I guess I’ll start reading up then! Haha. Goodluck on your next trip!